This post is sponsored by Prego. All recipe, thoughts, and opinions are 100% my own. My challenge this week was to make dinner before I could make it to the grocery store. We have all been there. This is when stocking your pantry like a champ comes in handy. We always have Prego Pasta Sauce on hand. Their Prego Alfredo Sauce is the best for creamy dishes! I love it! I needed a quick and easy dinner that would be filling. 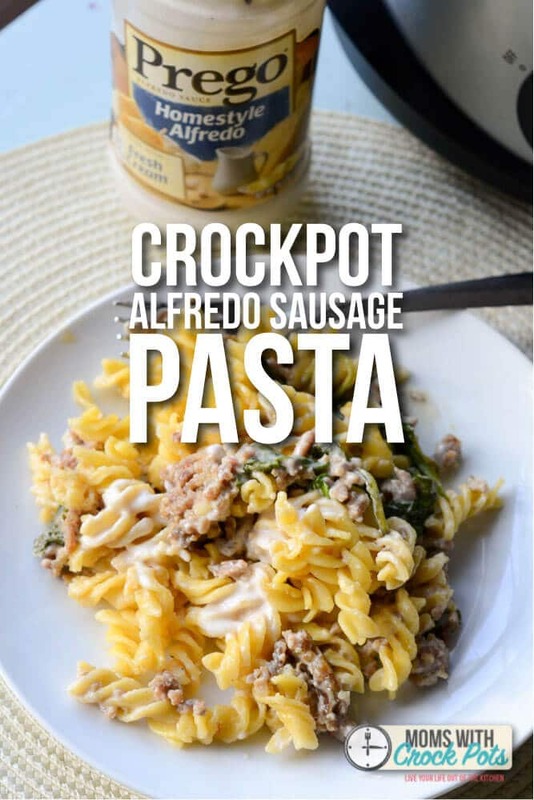 This Crockpot Alfredo Sausage Pasta was perfect! I am not going to lie. 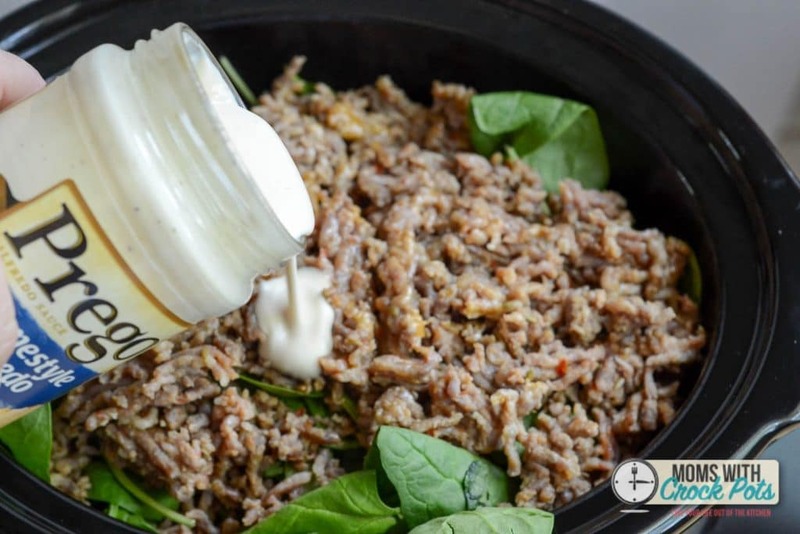 This dish is super easy, but it is oh so good when it is done. This taste like you have been slaving in the kitchen for hours making fresh sauce! 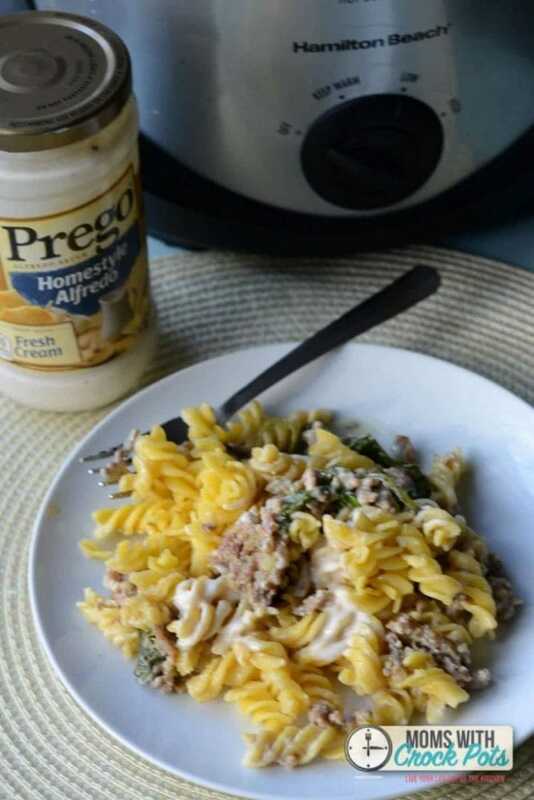 I love Prego because it has rich flavor with real ingredients you can see, taste, and smell. I pre-cooked my pasta, but not all the way. Not even al-dente. If the package says to boil for 10 minutes let it cook for about 6 mins. Just enough to get it started. While the pasta is cooking you can brown your sausage. 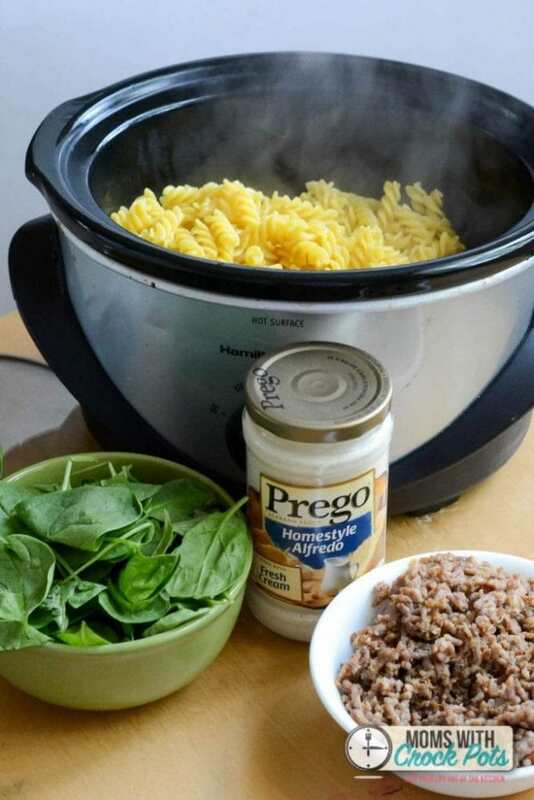 In your 5qt + crockpot mix the pasta, sausage, spinach, and of course your Prego Alfredo Sauce. Cover and cook on low for 4 hours or High for 2 hours. Remove the lid and stir before serving. Top with some added mozzarella cheese if desired! YUM! Precook your pasta to 50-60% doneness. If the package says boil for 10 minutes you only boil for 6 mins and drain. While the pasta is cooking brown your ground sausage in a skillet over medium heat. 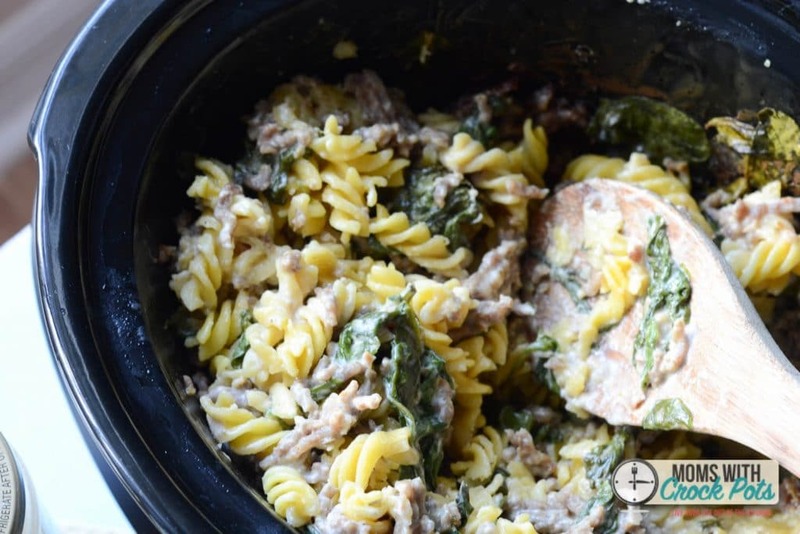 In a 6 qt crockpot place pasta, sausage, & spinach. Pour over both jars of Prego Alfredo Sauce. Cover and cook on low for 4 hours or high for 2 hours.